Great city location on a quiet tree lined street. 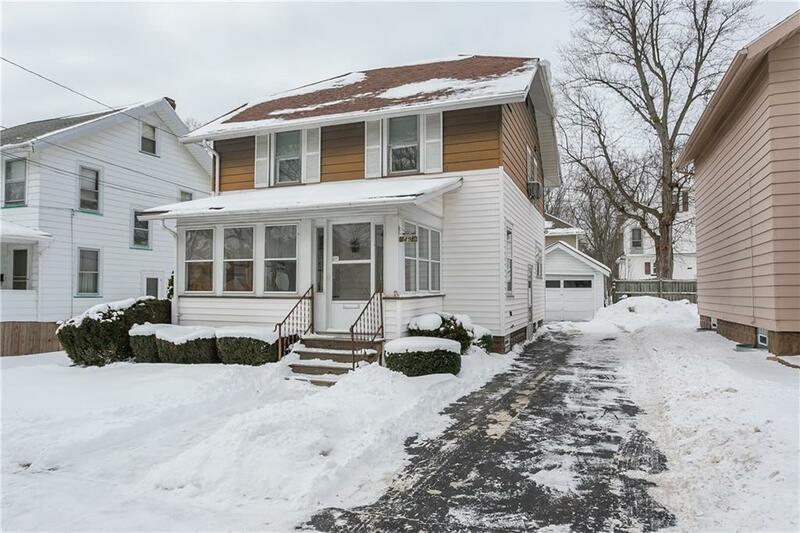 Within walking distance to Notre Dame HS, easy access to thruway and close to nearby shopping. Inside you'll find an eat in kitchen (appliances included!) and formal dining room, spacious living room and a wonderful enclosed front porch! Hardwoods under the carpet on first floor. 3 spacious bedrooms upstairs with tons of closet space! Full (and dry) basement with tons of storage space and workbench, washer and dryer stay! Back up heat source in the basement.